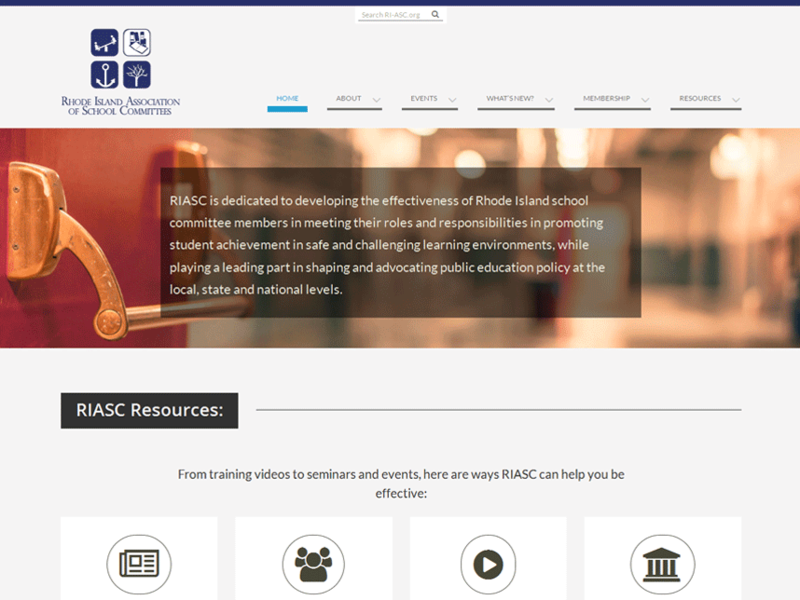 For a dozen years, the Rhode Island Association of School Committees (RIASC) had the same website. It worked “okay”, but was getting hard to maneuver through, and did not work on today’s latest mobile devices. They had been postponing the move because the site had so much content, but the time had come. Create a members-only area to provide beneficial data documents behind a log-in wall. Make the website work on phones, tablets, and any device anyone wants to use. List public and private events, with the option to register via email. Provide simple tools to the organization so they can update their own content. Having worked with RIASC for nearly a decade, they came back to us to redesign the site, knowing our familiarity with their goals and content would help streamline the process. In collaboration with their organizational contact, we built a robust and flexible website that operates as not only a valuable educational resource for their community, but also as a powerful communication tool for themselves and their members.